Stories about the inevitable zombie apocalypse have come of age in recent years. While survival remains the number one priority, more recent television adaptations such as The Walking Dead have chosen to focus extensively on social upheaval – providing the perfect blend between action and narrative. 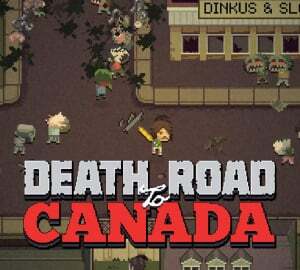 Death Road To Canada is much the same. Each time you play, a unique adventure is generated – providing a good mix of text-based storytelling, role-playing and classic button-bashing action sequences. With no time to spare, you're taught how to wield and deal damage with an assortment of weapons and even how to throw chairs and trolleys. Once you’ve grasped the basics, you must then attempt to escape to the safety of Canada. In each session you create a survivor with their own unique looks and perks – which provide special abilities ranging from improved healing to incredible abilities with a rifle. 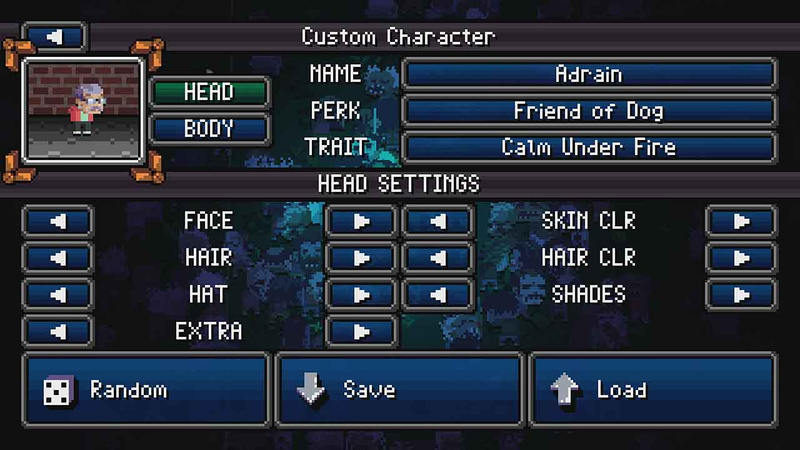 If you’re feeling lucky, you can opt with a randomised character. You're also given the option to start the game with a buddy by your side. From here, how your adventure unfolds depends on the choices you make. As you drive your car, the game presents text-based information about your party’s journey. Fuel, food, weapons, ammo and rest in these survival conditions are highly valued. As a result, you'll spend most of your time scavenging supermarkets, gas stations and gun shops while evading hundreds of zombies at once. Occasionally you’ll stumble across a friendly camp that sells much-needed supplies. There’s always a risk involved when visiting certain locations, and sometimes it’s better to keep pushing onwards. It’s just like other zombie media that depicts the survivors in a constant struggle. Text-based decision-making is just as vital as the locations you decide to visit. Say if a group of bandits ambush your team, if you fail to select the right response, then brace yourself for team casualties as well as a loss of important supplies. Party members must also keep their moral high – with the role-playing aspects balancing each party member's emotion and how much certain scenarios affect them. 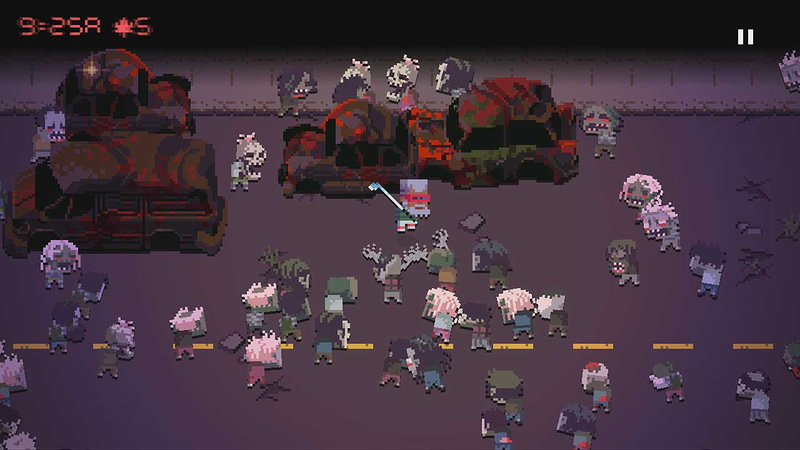 Each team member has the ability to gain special perks while certain characters provide unique benefits to the entire party – with some acting as medics for example. Like any zombie apocalypse, things can quickly spiral out of control if aspects of the journey aren't properly managed. Fortunately, you can always recruit one of the many other survivors you encounter on your journey if you are running low on party members. The primary concern at all times is party and supply management. Keeping a close eye on what skills you’re developing within your party should be the priority. Who will be the weapons expert, who will be the medic, is there enough fuel for your car, should you abandon your old car for a sports model or should you let a dog drive the car? 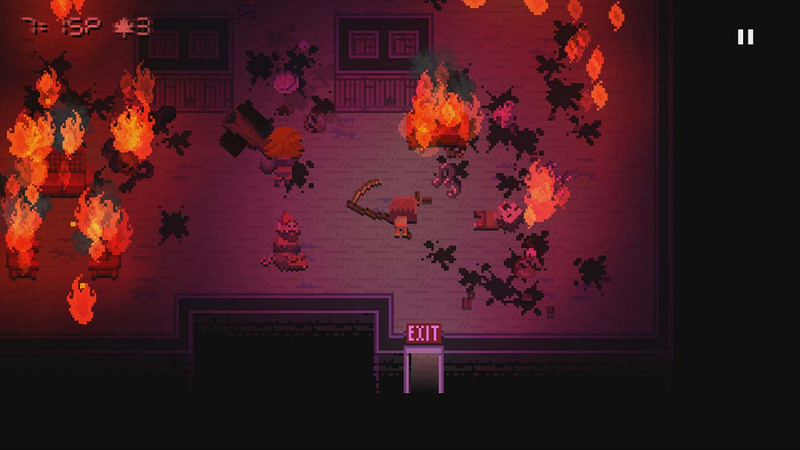 There are a lot of random events that may completely derail what appears to be a perfect run. If it is all too much, you can always get a second player to jump in on the action. There are also variations of the main mode that will further test your survival skills. The pixel presentation in Death Road To Canada perfectly matches the bite-sized zombie scenarios. There are grainy filters that can also be applied channeling classic zombie films to further enhance the immersion as well. Adding to this is an assortment of upbeat chiptunes incorporating well known music genres like disco and rock. The performance throughout all of the chaotic on-screen action also remains stable. 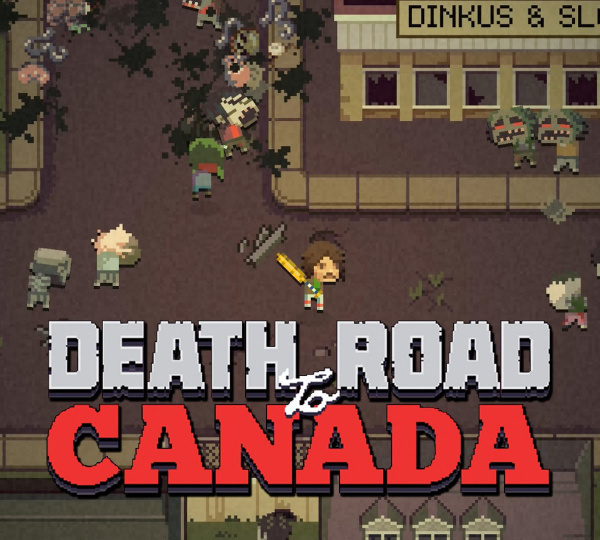 Death Road To Canada allows fans of the zombie genre to live out their ultimate survival fantasies again and again. Technically, there are a limitless amount of scenarios to experience thanks to the compact yet well designed gameplay, but after a while the patterns and outcomes may become a little too predictable for the average player. If you do happen to be a long-time enthusiast of zombies, this may be worth sinking your teeth into. Watching Vinny play this game made me actually somewhat interested in this game. I'm glad it's out on the Switch now. I once had Jontron and Cinema Snob make a run for the border. They were joined by President Trump and three dogs in a trench coat pretending to be a man and even acquired a hotdogmobile. I only remember Trump and Jontron making it (Snob was apparently allergic to everything in Canada anyway). This game is pretty solid. Great for absurd scenarios and couch co-op but like you said starts to get repetitive between there being only one enemy type and only one end game. I'm hoping one day they add special zombies and bosses but I can still recommend this one. Just don't let the Magical Girl anime all over the car. It bothers me a bit. That no one is mentioning or noticing the Switch performance of the game. I don’t know if anyone out there also notices it. I wrote to the developers about it. Thing is, I have both the IOS version and just bought the Switch version. I have to say making a comparison. It seems to run smoother on IOS, which I’m hoping since it’s a new game coming to a new system. It is to be expected and I hope they can patch it and have the game run more smoother on Switch. Because I don’t like touch controls and this game would be great with a controller. Also I think this game gets a top review in my opinion. I just want to know if anyone else is experiencing the janky menu and feel of the overall Switch version. Cause the IOS version has nothing wrong at all and performs better. I keep having stuttered gameplay and the menus feel a bit off/ delayed as well. I do hope they address this, and sorry for elaborating. I just love the game and want a smoother experience on the Switch. Plus it just triggered me a bit. When no one is talking about the systems performance or how it overall feels. I watch reviews and even watched Alex play this. The videos seem to look ok. So why am is it that these issues persist? Do you guys at Nintendolife see what I mean? This is not negative or out to offend anyone. This is strictly a structured and detailed fact of what I’m seeing and feeling within the Switch version. Please comment anything that has to do with this. I would love input and some help, if there is a fix or patch on the way. Thank you. @Pyro2020 i noticed the performance issue on the Switch version too. Restarting my Switch fixed it. Lol, that's one of the best game titles I've ever seen. OMG!!!! Thank you so much to both of you. I was practically in tears of joy haha. You never realizes how much a lag/ delay can bother someone till it’s all fixed. You two, and to anyone who mentions or has mentioned to my comment. You are the best and I love this community. I hope you get this message. I’m still new to having an account. I figured after a year or so of reading reviews, it’s time I join the community. I love it and thank you so much for the help! Really saved my stress. Such a fantastic upgrade to the Oregon Trail formula. Absolutely adore this gem. Beats Organ Trail by a mile. @Pyro2020 So glad you can enjoy it now. Try to restart your system every few days, or after install at least. Better yet, let it power down and rest every night, or every other night. @PhilKenSebben Thank you, yeah I will do that more often now. I really enjoy the game a lot. Just bought it and it's good fun. I've only had one run and still don't know what everything does but I do know how to hit a zombie with a rusty machete. The shotgun is euphoric. @Aven Just snagged it myself and I'm on my 2nd run, it's super addictive and I'm loving it so far! @ballistic90 mines was having issues and that fixed it. Thanks! @Pyro2020 apparantly there patch on its way ether this week or next! Saw it on twitter! Why only a 7/10? It has a 9 on Steam and I didn't notice any cons listed other than "after a while it might be too predictable"? @Pyro2020 I've been on Nintendolife for a couple months now but only now created an account because I wanted to thank you for sharing your performance issues with the game. I have an upcoming 14 hour flight this weekend and was going to buy this game on the Switch but am going to hold off on that now and might even buy this on iOS if that is the better version. I hope other people shed some light on this and share their experiences! @Yukimasa The performance issue is just a quirk that happens with a few Switch games. If it has performance issues, restart the Switch console and they go away. I've been excited about this one for months! I will be playing it tonight for sure. I was checking this game out, seems fun for fans of Organ Trail but it's gameplay seems very repetitive. Probably best played as a local multiplayer game if that is how you play games. I have it on PC, still haven't beaten it...I kinda want the Switch version, though. Been hoping Nintendo would get this before even knowing about the Switch. @Pyro2020 Power down your Switch (not sleep mode, physically hold down the power button) and re-start. I had the same issue. The developer said on Twitter it's a cycle issue. Only a 7? But the review had hardly anything negative to say about it! Either way, I think I will pick this up, to add to my backlog. It looks fun. The character creator is awesome. I've made Rick Grimes and The Governor already and they really look like them. Ash Williams next. @Yukimasa The performance works good after restarting Nintendo Switch. Now I say the Switch version is the more preferable way for me. You just have to restart Switch as mentioned and you’re good to go. I highly recommend the game. Thank you for your kind message as well. Best game I've played so far this year on Switch. My honest opinion after 5 runs. 7 is really quite harsh. It’s such a good game with a lot of replayability, especially for the low price. Hope the score doesn’t put people off as it really should be a must have. @Pyro2020 I saw this the first time I played it and was concerned. I restarted my Switch (not just sleep mode but actually restarted) and it performs great now. Just bought this yesterday. I like it quite a bit. It’s like Oregon Trail: Directors Cut except you actually get out of the car and scavenge for food and you can have 2 players. I would give it 8 out of 10 honestly. Yes, some of then scenarios happen the same quite often but those scenarios have different items and amounts of zombies, etc. each time you play so it is still somewhat randomized. I think I would give the game at least an 8 out of 10 especially if playing with a friend. It’s quite fun. Came here looking to fix the performance problem...glad it was a known issue with a simple fix. Just wanna thank you guys for posting the solution so quickly. Is there a way to unlock more shirts/hair/shades etc? That's what I wanted to hear. I was getting Oregon Trail vibes from this but saw no mention of the comparison. Instant buy now. @Kang81 I'm really shocked no one brings it up either. Kids these days.